The Mercedes-Benz W108 Sonderklasse is a stately sedan, designed to be driven with extended pinky and Bach on the Becker Mexico radio. 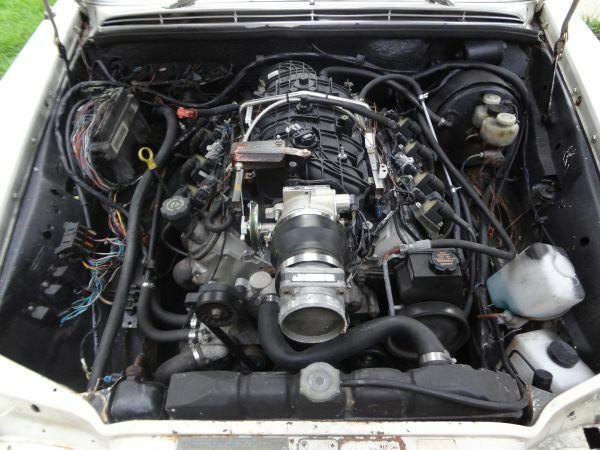 It is therefore the perfect car to shove a modern fuel injected American V8 into the front of (most of it, some will stick out of the hole in the hood), toss out the Bach for some Wagner and extend another finger to everyone else on the road. 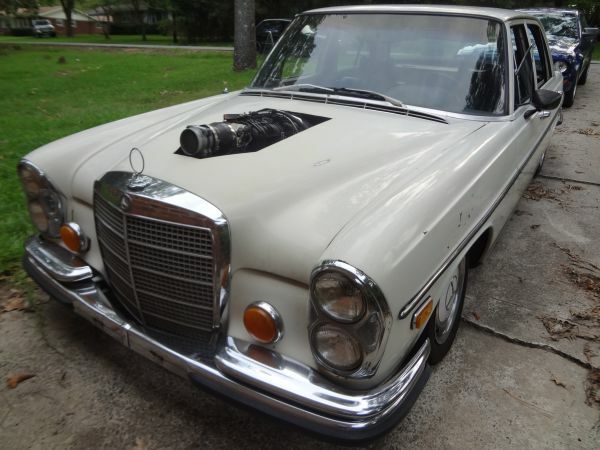 This 1971 Mercedes Benz 280SE W108 with LM7 swap is for sale in Atlanta, GA for $6000 via craigslist. Only the circle remains of the iconic Mercedes-Benz hood ornament; presumably the tri-pointed star was sucked into the exposed LS1 throttle body located a few inches aft. We really dig the W108 and the idea of shoving an LS-V8 inside has certainly cross our mind a few times, but to see one for less than the cost of a swap is a real treat. the appendage poking through the hood, that's just wrong. I change my answer on the Valentine's day post -- this is what I'd buy my sweetie to haul around the kids. "Honey, why is my new car so noisy?" "It's a diesel"
anyone know if the motor mounts on this build where custom made by the owner or if he bought them somewhere?